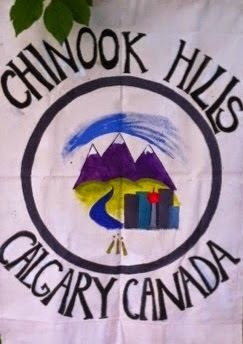 Our upcoming Druid Walk is in Nose Hill Park. We will meet on the north side this time, on MacEwan Glen Drive NW, just before MacEwan Park View NW at 10:30 am, April 23, 2017. The address is approximately 130 MacEwan Glen Drive NW if you use google maps. Dress for the weather, and maybe wet ground... you never know. We walk for about an hour, and then usually find a coffee or tea shop to complete our visit.